The Holidays are fast approaching! With cookin’ and travelin’ taking up most of your time, it can be purdy tough to find that great gift. Well, we did some figurin’ and found a great way to wrangle that perfect gift! This here general store has everything you need for the Medora super-fan in your life! From the cuddliest Teddys in all the west, to historic books filled with colorful characters and rich in historical facts, we’ve got what you need this Holiday Season — just take a gander! 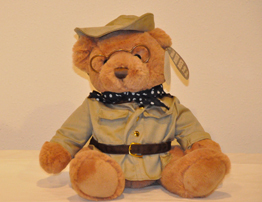 The Badlands Teddy Bear pays homage to Theodore Roosevelt’s time spent in the Badlands. Theodore Roosevelt came to Dakota Territory in 1883 to hunt bison and eventually he came to own two ranches in the Dakota Badlands. Badlands Teddy is perfect companion for the outdoor enthusiast. Buy him here! The Rough Riders Teddy Bear commemorates the 1st United States Volunteer Cavalry which was led by Theodore Roosevelt himself! This Calvary was nicknamed the “Rough Riders” just like our home state — North Dakota! If your patriotism runs deep, this is the perfect Teddy to have by your side! Buy him here! 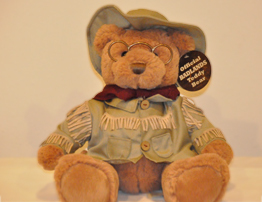 The National Parks Teddy Bear commemorates Theodore Roosevelt’s desire to set aside land for the use of all the American people. If you love exploring all of America’s National Parks, from sea to shining sea, this Teddy is a great exploring partner! 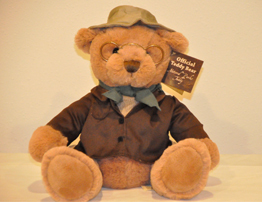 In fact, the National Park Service is celebrating 100 years in 2016 — making this Bear quite a collectible. Buy him here! 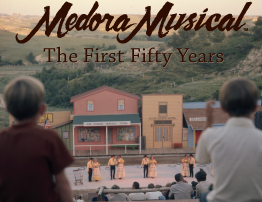 Take a stroll through 50 years of the Medora Musical with the book, Medora Musical: The First Fifty Years. With large photos, play bills, and commentary from the pioneers of our show, we bring you through the Medora Musical year-by-year, highlighting crowning moments of the “Greatest Show in the West”! Buy it here! 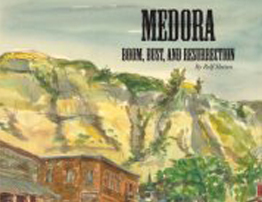 If you love Medora and history, Medora: Boom, Bust, and Resurrection is the book for you. The incredible, and sometimes violent, history of North Dakota’s premiere tourist destination is beautifully and exquisitely captured in this fantastic book! Buy it here! These are just a few of the gifts we know you’ll love! For more great gifts, head over to the Medora Online Store.